Right after the last Passover meal with his disciples where he tells them to eat his body and to drink his blood, they go to the Mount of Olives. Jesus is about to spend His “hour in the flesh” and he asks a few of His disciples to watch and pray. When we remember his blood, shed for us in love, when we remember his broken body that purchased our healing, it helps us to watch and pray. It keeps us from temptation. We aren’t so ready to believe the lies of the enemy. When he tries to tell us that God doesn’t really love us, or that we aren’t worthy, we can remember the love that compelled the Father to give His son, or the great love that held Jesus on that cross. We don’t want what He did to have been in vain. He did so much for us so that we could live a transformed life. 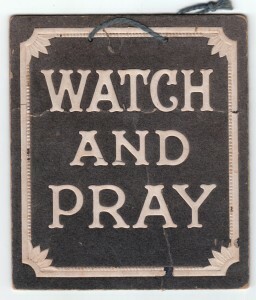 Shouldn’t we be diligent then to watch and pray? Yes, our flesh is week, but our spirits are willing. 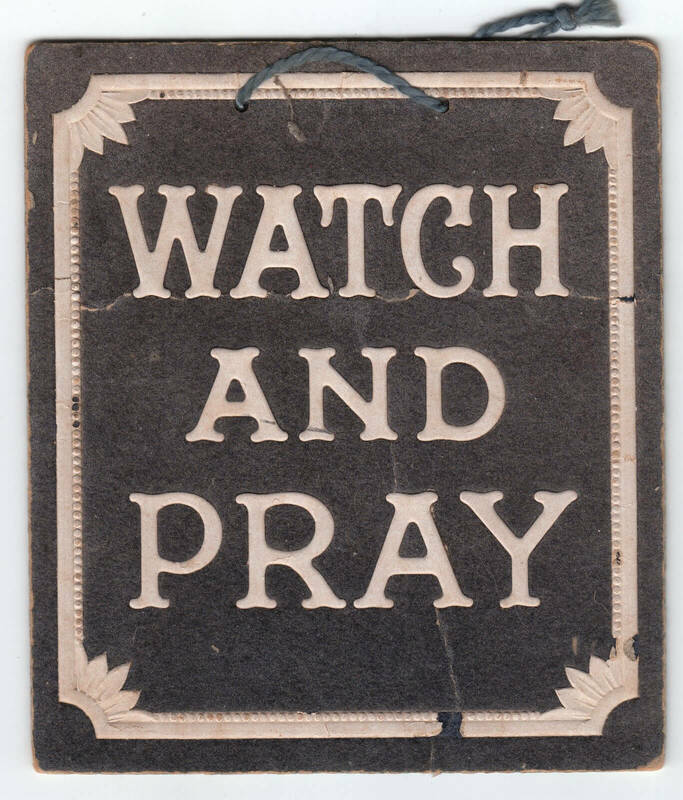 Those words, “keep watching and praying” are just as important for us today as they were for the disciples that went with Jesus to the garden. Our flesh is still week. Satan’s desire is still to “sift us like wheat.” When we keep our eyes fixed on Jesus, when we “set our faces like flint,” we can withstand every temptation. Today let’s purpose to remember His blood, the atoning blood that took away all of our sins, those from our past, those for our present, and those in our future. They are all gone. And let us remember His stripes, the lesions from the thorns, the holes in his hands and feet, and that cut from the spear. Those wounds that He “received in the house of his friends” and let us accept all the redemptive gifts that they purchased for us. Father, we thank you for your perfect plan of redemption. We choose to remember and accept the finished work of Your Son, Jesus Christ and to cherish His great act of love in our hearts. This entry was posted in Thoughts and tagged Bible, Christ, christian, Christianity, confidence, enemy, faith, freedom, God, God's love, God's word, help, Holy Spirit, hope, Jesus, love, Prayer, Salvation, satan, scripture, trials, watch and pray.